Pure London, the U.K.'s leading fashion trade event has opened its doors to visitors in London with more than 1,300 exhibitors, including Turkish fashion companies. 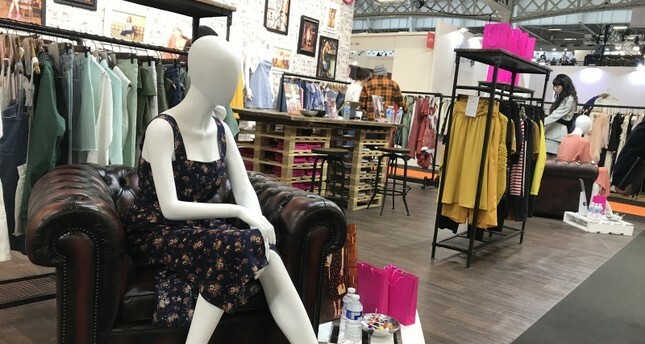 The event dedicated to fashion sourcing and manufacturing is being held at the Olympia London, an exhibition center located west of the British capital. Womenswear, menswear and kidswear collections are exhibited at the fair. "Our collection mainly consist of leather footwear for men and women," Bahadır Cam, the owner of one of the Turkish firms, Callizio, said. Speaking to Anadolu Agency (AA), Cam said they "also produce leather belts, wallets and bags that can be combined with [other products]." "Our brand draws great attention because it is very close to the European style," she said. Pure London is a fashion event that brings thousands of visitors with fashion collections, garments and fabric suppliers. It is open to visitors free of charge until Feb. 12.